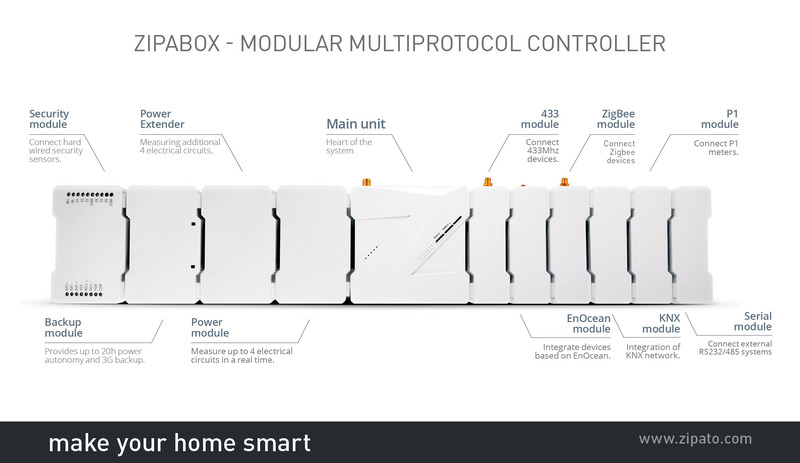 Zipabox makes every home smart by using advanced technology to hide the complexity of home networking - delivering a simple smart home. It plugs into any outlet in the home and automatically talks to all the connected devices in the house, connecting them to the cloud so that consumers can control them using tablets, smart phones, computers or TVs - at home or on the go. The Zipabox Gateway supports a variety of communication standards including Z-WAVE, ZIGBEE, KNX, ONVIF, UPnP and EnOcean. 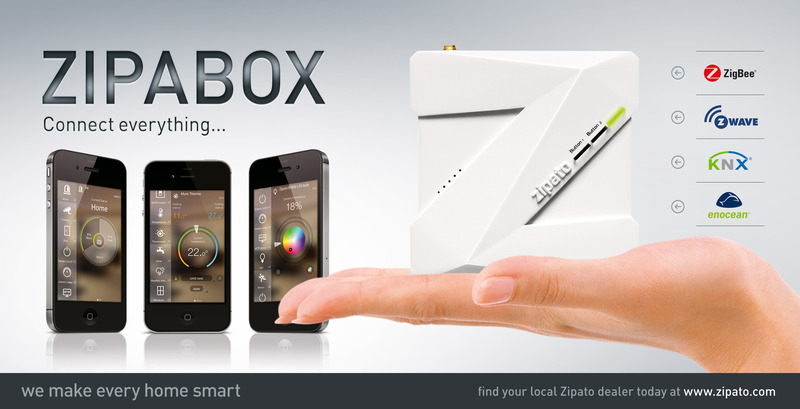 Zipabox is a next-generation network gateway that lets you control all your home electronics. Most often it uses simple, reliable, low-power radio waves that easily travel through walls, floors and cabinets, but it can also use existing power lines or BUS wires to connect all your home electronics. Through Zipabox multi-environment capabilities, Zipato control can be added to almost any electronic device in your house, such as appliances, window shades, thermostats and home lighting. Expanding functionality by just snapping in additional modules gives Zipabox unlimited upgrade possibilities. Expanding modules are connected together via an integrated expansion port on the sides of the modules. A variety of expanding modules are already available for increasing Zipato functionality (i.e. Power module, Backup module, Security module, Serial module, 433MHz module, ZigBee module, KNX module, EnOcean, P1 module, etc...).